Vaughan Jones explains why businesses that run comparative advertisements need to ensure that any comparative claims that they make can stand up to scrutiny. A successful claim for false, deceptive or misleading advertisements can be expensive and result in a loss of consumer confidence in your products or services. Comparative advertising identifies and compares competing goods or services based on specific attributes such as performance, price or features. You should take particular care if the advertising is aimed at the public, as specific legislation exists to protect consumers. Make sure that the comparative claim is truthful and can be supported by verifiable facts. You should check the accuracy of the data and statistics on which the comparison is based and state your sources. Your business may also want to consider appointing an independent third party to test and substantiate the claim before running the advertisement. Do not select things to compare without giving the whole picture. The claim should accurately compare relevant prices, features, benefits or performance and should not include any adversely selective comparisons. Avoid excessive boasting that may inaccurately portray your company’s own product or service. Disparaging a competitor’s product is just one way to invite a challenge. Using misleading or inaccurate claims to raise the status of your own product or service above others will also draw scrutiny from competitors. Make sure that your advertisement complies with all applicable laws in each jurisdiction where the advertisement appears. Following industry codes of practice will help, but it will not guarantee that the advertising is lawful. Ensure that the advertisement does not take unfair advantage of a competitor’s reputation, trade marks or other distinguishing marks. The more well-known the competitor’s brand is, the more careful you must be not to be seen to “free-ride” on its reputation. Do not reproduce a competitor’s logo or other artwork as this could give them grounds for a copyright infringement claim. 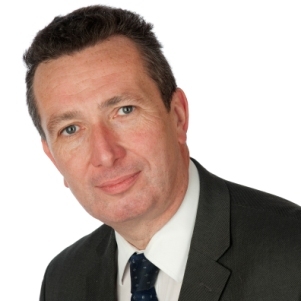 Vaughan Jones is Partnership Chair and a specialist in Corporate Law.